Today has been a very special day. The Scrapmatts Design Team for 2013 was announced and I was invited back. I received the Masters' Edition of Scrapbooking Memories to discover that I was fortunate enough to receive an Honourable Mention - thanks Cassie and Vanessa. Our scrapbooking group, the 'Scrapdragons' celebrated Christmas together. Here is the LO that I received Honourable Mention for. The photos were taken when Brad and I had the wonderful fortune to travel to Eastern Africa. The trip was to celebrate our 25th Wedding anniversary and it was the first time in 23 years that we had been away together (without children) for more than a few days. This trip was an amazing 3 and a half weeks longs and it was fantastic. I loved being on Safari and was constantly amazed how close we were able to go to the wild animals. 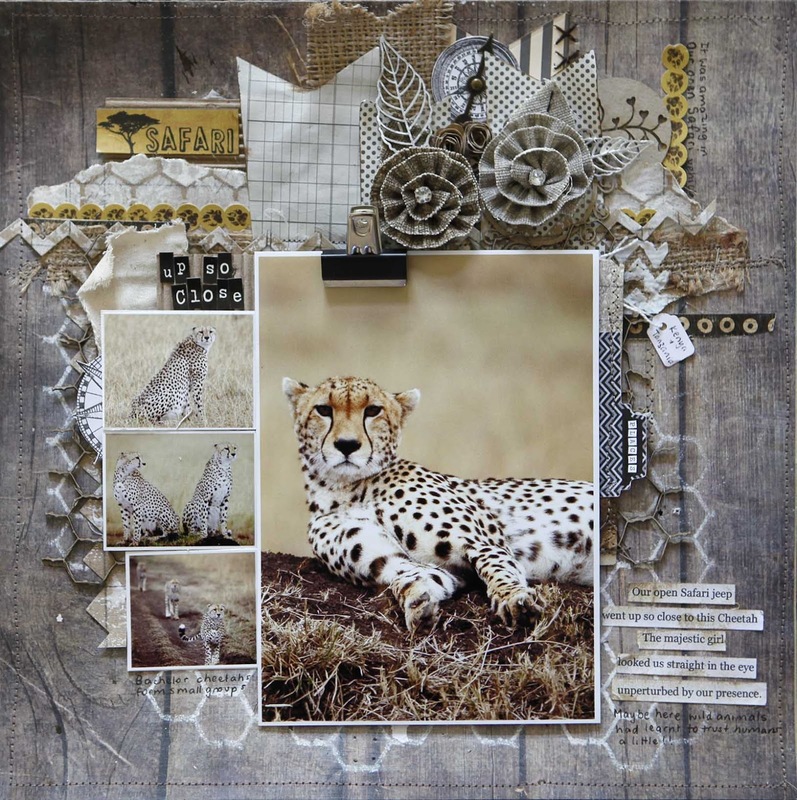 This LO is a tribute to the stunning female cheetah we saw. Congratulations!!! That is an awesome layout!! !